Halo: Nightfall won’t be exclusive to Xbox consoles for much longer. 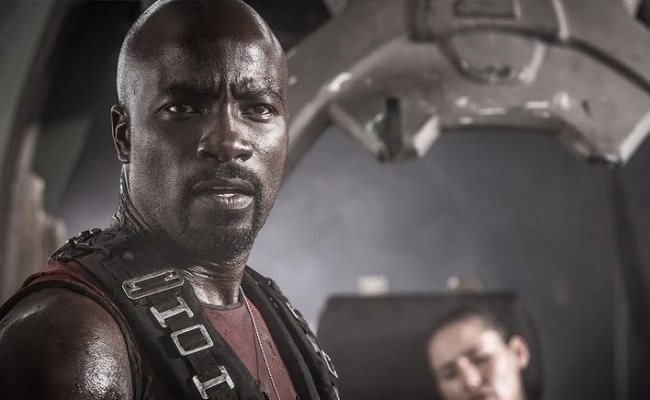 The online original series starring Mike Colter and inspired by the incredibly popular video game developed by 343 Industries will be available on Blu-ray, DVD, and streaming video-on-demand services starting March 17, 2015. Halo: Nightfall covers the story of Jameson Locke (Colter), an agent with Earth’s Office of Naval Intelligence (ONI) who must investigate terrorist activity on the colony world Sedra. Nightfall bridges gaps between the Halo 4 video game and the upcoming Halo 5: Guardians game, in which Locke will play a key role in the storyline. The five-episode series was executive produced by Ridley Scott and released on November 11, 2014. Up until this point, Nightfall was only available on Xbox 360 and Xbox One via the official Halo Waypoint channel. Now, Microsoft said it will bundle all five episodes of Nightfall into one feature-length film for release on DVD and Blu-Ray. The tech giant said the Halo-based series will also be released on “digital channels.” Though Microsoft didn’t specify which online channels it meant, Nightfall will likely be available for rent or purchase on VOD services like Google Play and iTunes Movies.